AIA Omaha, in partnership with Mike Nesbit Studio, Enterprise Precast Concrete Inc., Dicon Corporation, Tremco & Stetson Building Products, and Gallery 1516 is excited to announce an exhibition at the historic Omaha Standard Oil Building by architectural designer and artist Mike Nesbit starting August 18, 2017. Nesbit's new show, entitled FLOOD, will continue the artist's trajectory of installing works outside of a traditional museum setting. 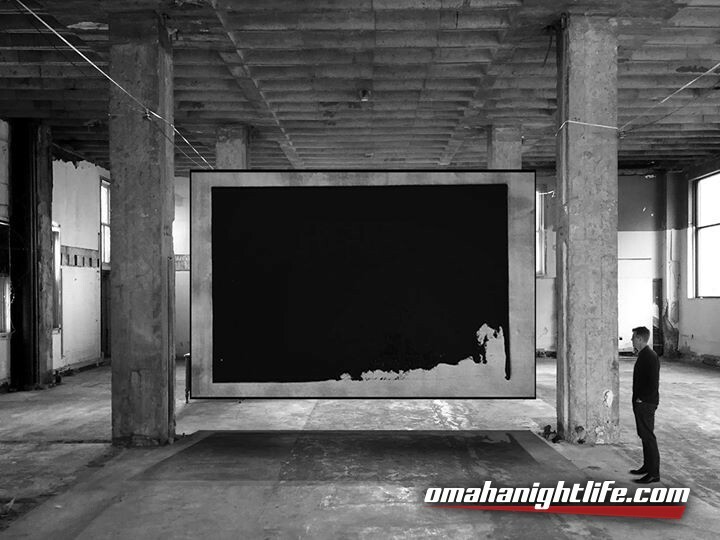 The exhibition seeks to create a discussion between art and industrial architecture, using a historical part of Omaha by transforming the space temporarily to re-imagine how pieces of art can be shown. The show is antithetical to the contemporary landmark museum that requires overarching budgets to produce something new. As an alternative, FLOOD utilizes the existing urban fabric to create a museum out of the infrastructure that already exists, a museum that becomes interdependent through partnerships with local industry and small businesses. This is the museum of the 21st century. A native of Los Angeles, Mike Nesbit is a fine artist and project designer for the award-winning architecture firm, Morphosis. Along with his current discipline, Mike is exploring areas between art and architecture, with an interest in technique and representation. These particular interests have worked their way into gallery exhibits from Los Angeles to Brooklyn. Previous to his current work, Mike played four years of professional baseball with the Seattle Mariners. He received his Bachelor's of Architecture from the Southern California Institute of Architecture in Los Angeles.